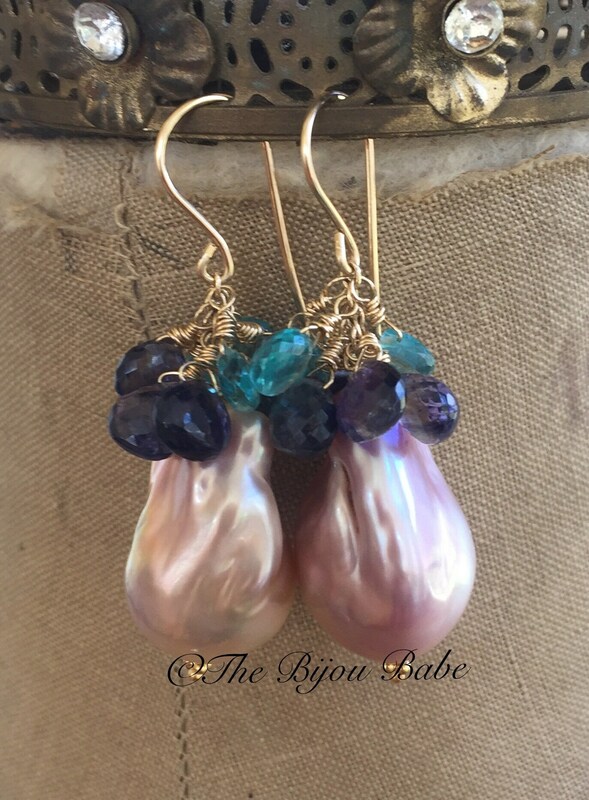 Enormous baroque pearls with a beautiful purple/pink overtone are topped with AAA briolette gemstones. 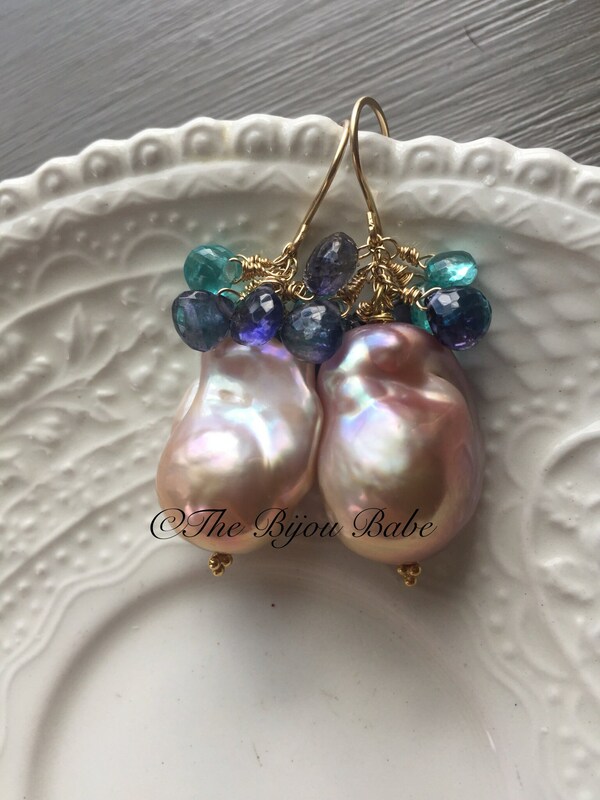 These pearls are jaw-dropping gorgeous, with a thick nacre, and a beautiful overtone that shimmers. 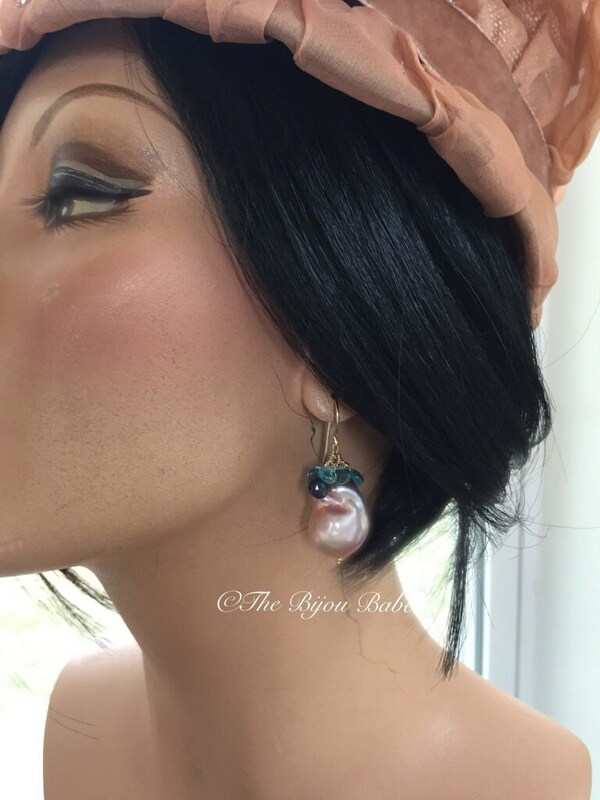 If you love the look of elegant baroque pearl earrings in a large size, these are perfect statement earrings for you. 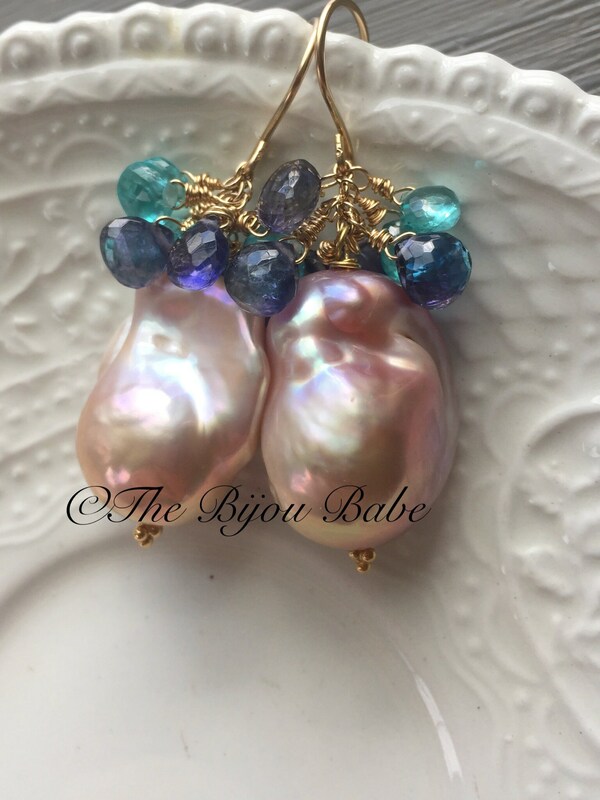 Your earrings will ship USPS Priority mail with tracking in the US, and will be packaged in a signature 'The Bijou Babe' gift box. Please contact me if you wish to upgrade your international shipping to include tracking or insurance.